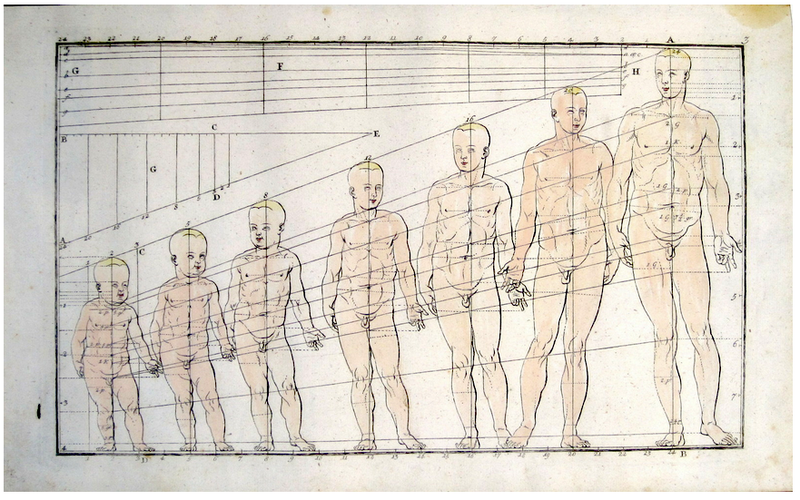 Physical development of the male from a folio of prints published in 1750 by Johann Daniel Preissler. 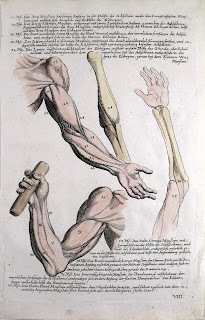 A study of the muscles of the arm, another hand colored print from the same folio. Johann Daniel Preissler was a painter and engraver. He was born in 1666 in Nuremberg. He studied in Italy. In 1704 he became the director if the Nürnberger Malerakademie. 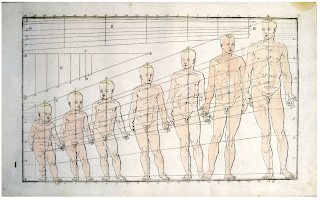 Heads, Feet and Arms from a similar portfolio, Johann Daniel Preißler - Gründliche Zeichen kunst für junge Leute und Liebhaberaus allen Ständen. 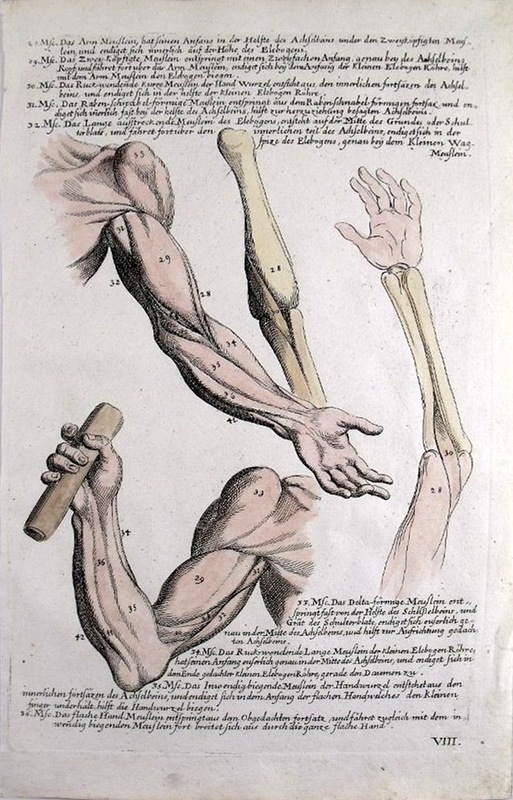 This one was published in 1795 after his death. They are all teaching tools which must have served his students well in his academy. He taught Karl Marcus Tuscher and influenced Caspar David Friedrich among others. 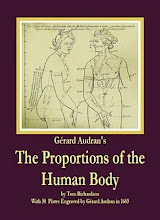 He was rather more successful with feet and with arms than with heads and than with complete figures!